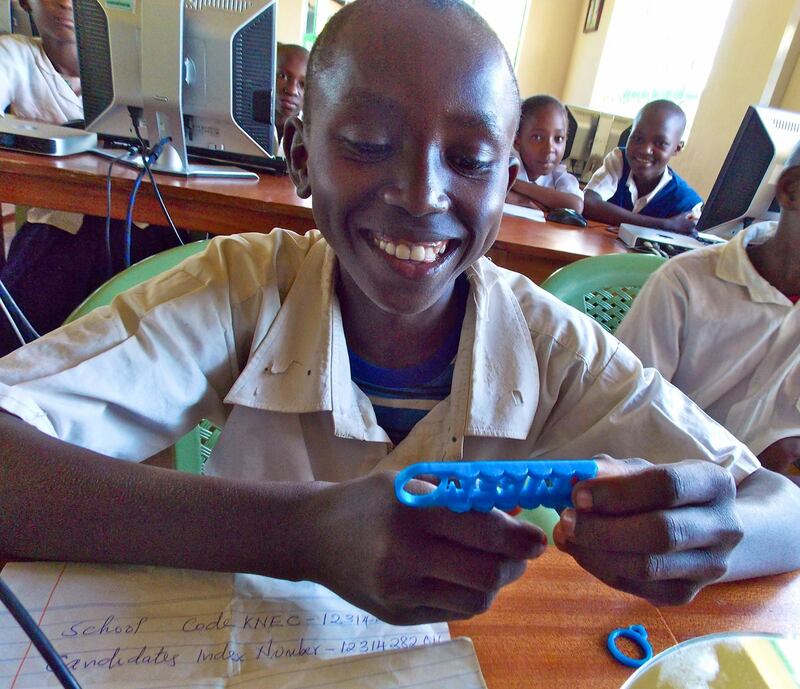 A student at Kenya Connect watches with delight as a project he designed emerges from the 3D printer. He and his classmates are participating in a global collaboration with students at New Canaan Country School through Level Up Village’s 3D printing Global Inventors course. Students from Kambiti Primary School, one of Kenya Connect’s 55 partner schools, are learning to use computer aided design (CAD) and a 3D printer to design key chains, chess pieces and even solar lights through a Level Up Village course called Global Inventors. 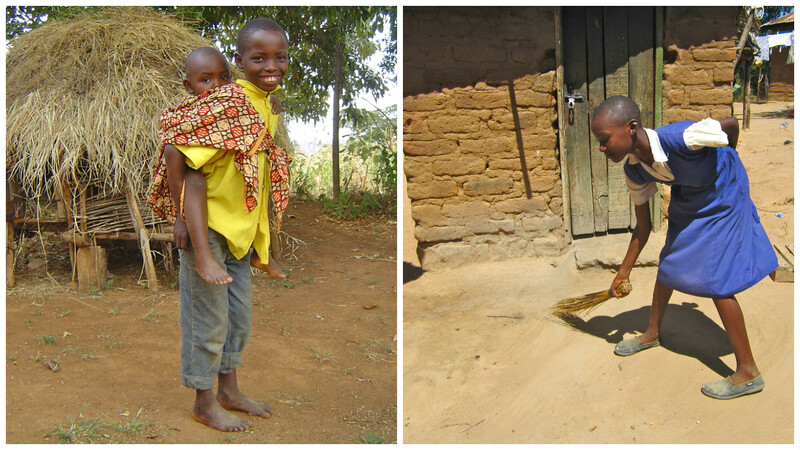 These Kenya Connect students help with childcare and other chores at home. 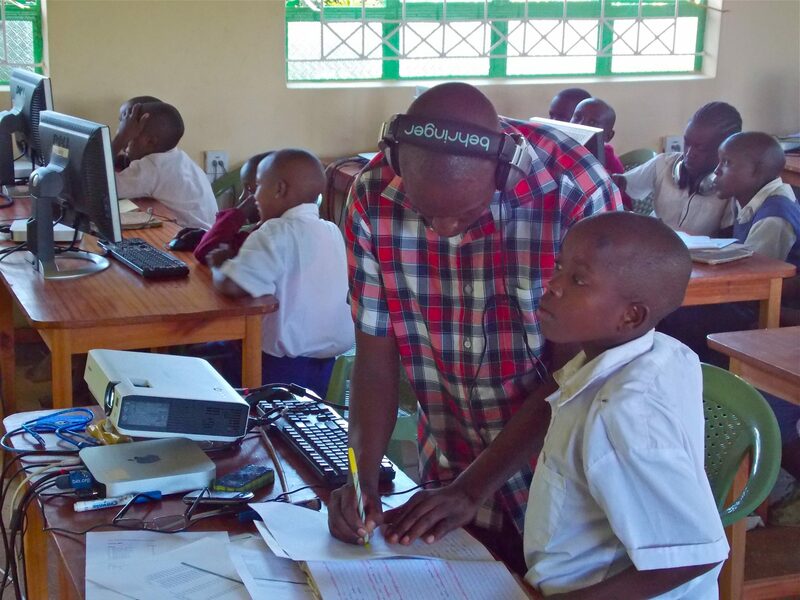 Though they have no electricity at home or school, they are learning to use cutting-edge technologies at Kenya Connect’s Learning Resource Center. Although they were familiar with traditional printing with a regular printer and paper, many of the students had no concept of 3D printing prior to this course. Using the LUV curriculum, KC staff member Patrick Munguti began by illustrating the concept of three dimensions by using a box to explain the X, Y and Z-axis. Once they were immersed in the assigned task and became more comfortable with using computer aided design (CAD), their understanding grew. They were excited to not only design the object on the computer, but also print it out. When their first projects materialized one layer at a time, students were amazed! It was the highlight of their class. 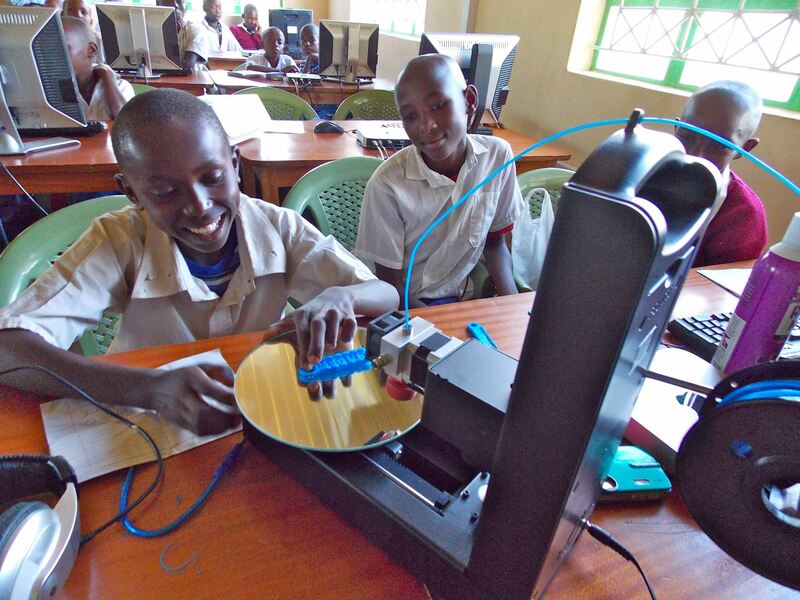 Participating in LUV’s Global Inventors (3D printing course) is not only motivating students at Kenya Connect to become more engaged in their studies, but also equipping them with important 21st Century skills. Teachers have observed that the students who participated in the course are now more engaged in their education overall and have a better understanding of math, especially in the topics of measurements such as calculating volume and area. More importantly, the course has provided them with the impetus to begin thinking outside of the box, while helping them develop the analytical, innovation and problem solving skills they will need to tackle 21st Century challenges. 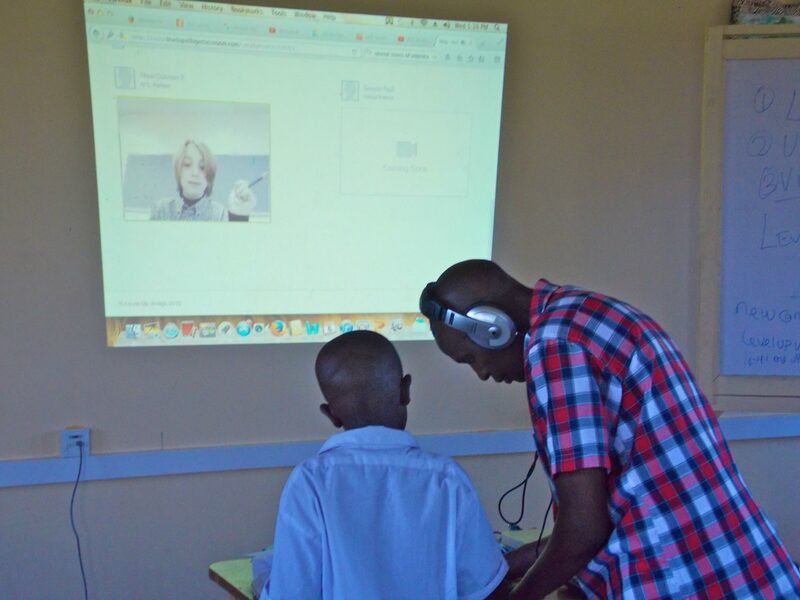 After watching a video message from his partner at New Canaan Country School, this student gets some pointers from Patrick Munguti of Kenya Connect. The KC Learning Resource Center in rural Kenya is a state-of-the-art solar powered facility with the only computers available to students for 100km. Kenya Connect partnered with Level Up Village starting in 2015 in order to offer cutting-edge STEAM (STEM + arts) courses to students. Sharon Runge: Sharon works as the Executive Director of Kenya Connect, a non-profit that strives to improved education in rural Kenya.